Developed in 1959, derived from the S-56. As a flying crane, the supported payload is 12800 lb (5806 kg). Resources related to the S-60 Crane, provided by the Vertical Flight Society. 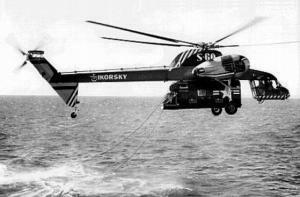 Resources related to the S-60 Crane, provided by public sources across the internet.